NetEnt’s overall objectives are to further strengthen its position as a leading global supplier of online casino games and system solutions, drive developments and to grow faster than the market. 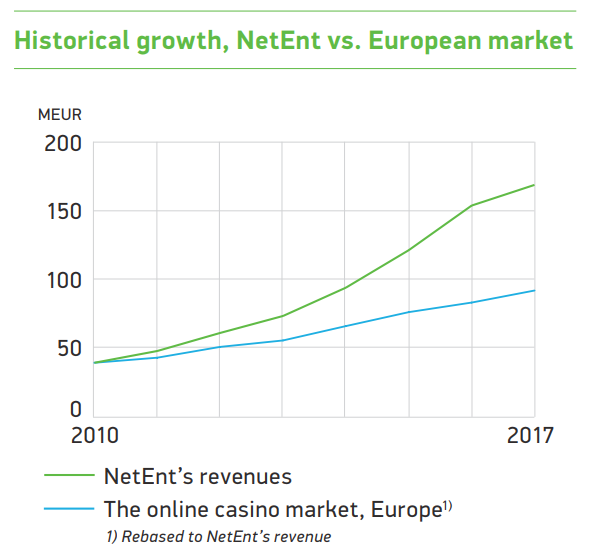 Outcome: Since 2007, NetEnt has increased its revenues by 29% annually, while the online casino market in Europe has grown by 16% annually over the same period. In 2017 our revenues grew by 11.7%, compared to estimated market growth of 10.7% in Europe. NetEnt’s ambition is for dividend to amount to a minimum of 60 percent of net profit after tax, taking the company’s long-term capital requirement into account. Outcome: Since 2007, NetEnt’s shareholders have received an average dividend equal to 76% of net profit. 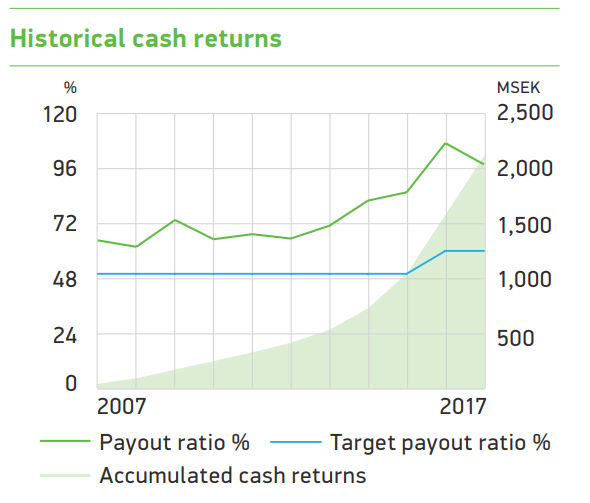 The proposed dividend for 2017 is SEK 2.25 per share, which is equal to 98% of net profit.